Bank credit in India has grown exponentially in the past 25 years with total outstanding credit rising to Rs 68,78,500 crore from Rs 1,04,300 crore between 1990 and 2015, according to the Reserve Bank of India's (RBI) latest state-wise credit data. The country's western and southern regions accounted for 60.6 per cent -- that is Rs 41,70,600 crore -- of the total credit at the end of fiscal 2014-15, as per the second edition of RBI's "Handbook of Statistics on States 2016". The highest credit concentration was in the western region, with over a third of the total outstanding credit at Rs 23,39,900 crore at the end of March 2015, RBI said. This was followed by the southern region with outstanding advances of Rs 18,30,700 crore as on end-March 2015. The northern region came next with outstanding loans of Rs 15,86,800 crore. Outstanding loans to the central and the eastern regions were much lower at Rs 5,50,200 crore and Rs 5,17,300 crore, respectively, while loans to the northeastern states were lowest at Rs 53,600 crore. While the southern states had a higher credit outstanding in the 1989-90 fiscal at Rs 29,600 crore, the western states had a lower outstanding of Rs 29,000 crore at the start of this survey period. In the western region, Maharashtra received the highest amount of loans at Rs 19,77,300 crore as of 2014-15, as compared to Rs 6,33,800 crore in 1989-90. Banks loan outstanding to Gujarat rose to Rs 3,47,100 crore in 2014-15, from Rs 76,400 crore in 1989-90. Outstanding loans to Punjab and Rajasthan were at Rs 1,96,600 crore and Rs 2,03,000 crore, respectively, as at end-March 2015. The initial public offering (IPO) of GTPL Hathway, which offers cable TV and broadband services, was oversubscribed 1.53 times on the last day of offer today. The IPO received bids for 3,08,57,728 shares against the total issue size of 2,02,15,966 shares, data available with the NSE showed. The category reserved for qualified institutional buyers (QIBs) was oversubscribed 1.48 times, non institutional investors 2.85 times and retail investors 94%, sources said. GTPL Hathway on Tuesday raised over Rs 145 crore from anchor investors. 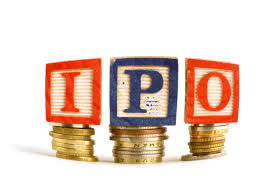 The IPO to garner up to Rs 485 crore comprises fresh issue of shares worth Rs 240 crore and offer for sale (OFS) of up to 1.44 crore shares in the price band of Rs 167-170 a share. Proceeds from the IPO will be utilised towards repayment of loan and other general corporate purposes. JM Financial Institutional Securities, BNP Paribas, Motilal Oswal Investment Advisors and Yes Securities are managing the issue.